ABC7 has learned that Chicago Alderman Michelle Harris might be eyeing the seat held by Cook County Circuit Court Clerk Dorothy Brown. It comes as the FBI recently confiscated Brown’s cell phone. She spoke exclusively to ABC7 on Wednesday. 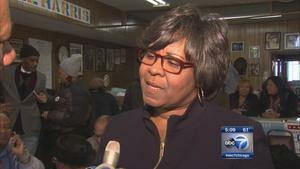 ABC7 has learned that 8th Ward Alderman Michelle Harris – an ally of Mayor Rahm Emanuel – has asked colleagues on the Democratic Central Committee for their support should the panel withdraw its endorsement of Dorothy Brown to be re-elected circuit court clerk. 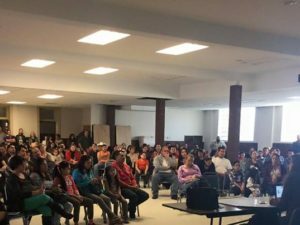 “We can’t afford to have a non-attorney who doesn’t understand or know the court system come in and try to learn the ropes,” said Jacob Meister, candidate for Cook County Circuit Clerk. Attorney Jacob Meister – who finished a close second when the committee endorsed Brown in August – is concerned the party is moving too quickly to replace the four-term incumbent as the slated candidate. “I think that’s going to lead potentially to bad results,” Meister said. During an exclusive interview, Brown – who has not been charged with any crime – said the FBI’s seizure of her cellphone does not signal that she is a federal target. “People that know me are supporting me,” Brown said on Wednesday. “I’m not here to pass judgement on Dorothy or her family,” said Tio Hardiman, candidate for Cook County Circuit Clerk. Hardiman criticized Cook County Democratic Chairman, Assessor Joe Berrios, who announced Wednesday the party would reconsider the Brown endorsement. “Berrios himself has been under scrutiny before. So let’s not be so quick to rush to judgement on any of the candidates,” Hardiman said. Alderman Harris was not in her South Side office and did not respond to repeated telephone calls. Meister said that despite his finishing second in the original endorsement vote, the Cook County Democrats have not officially notified him of Friday’s meeting. He is also worried that with fewer than 48-hours’ notice, all 80 central committees might not show up.